"Tell 'em we want prenup. WE WANT PRENUP!!" Cue in Kanye West's Gold Digger for this one. Apparently, multi- platinum producer Timbaland, who is worth about $80 million, and his soon to be ex-wife, Monique Mosley, are headed to divorce court. And let me tell you, Ms. Mosley is going for the jugular, the femoral artery, and the achilles heel. 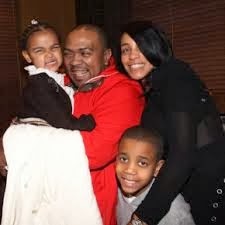 So here's some background: Timbaland and Monique have been together about ten years but they have only been married for five. They have one daughter together and both have other children from previous relationships. The lovely pair married in Virginia about a year after their daughter, Reign, was born. That's right, she's asking for child support for a child not even fathered by Timbaland. But before I get into my thoughts of how I think this case will turn out, here's what some of Urban Politico staff thought about this case. Check it out after the jump. "This chic wants him to pay child support for a kid that ain't even his?? Lawyers is there any chance in this happening? This kind of stuff really grinds my gears!" She's an idiot. I hope she gets nothing. I never understand why women like this don't get a life while they are married to men like this. If he's producing music, you start styling the artists. Something. Don't sit at home and play housewife. Do something! the standard of living a child had pre-divorce when determining how to split finances post-divorce. Here, Monique is asking for Timbaland to pay for vacations, life insurance, summer camp and other expenses for their minor child. That request is not unreasonable and if she is awarded primary physical custody, she should be able to get those things. She could even ask for specific requests like play stations, cars, Brooks Brothers clothing, sweet sixteen party money, etc. The bottom line is this - if the kid had a certain standard of living before the parties split, that standard of living will continue after divorce. She is also asking for rehabilitative alimony, or temporary alimony, in a lump sum and permanent alimony, which she would receive until she remarries. Now, when awarding alimony, the court will look at a number of factors, ie, length of time the parties were married, education of spouse requesting alimony, likelihood of spouse to be able to support herself, standard of living before divorce, disparity of income, etc. It is not unusual for a court to award one party both rehabilitative and permanent alimony, so Monique has a good chance of receiving this. Her lawyer simply fashioned her request and asked for a lump sum. Even attorney's fees may be awarded, depending on whether the court feels Monique really doesn't have any money. establish paternity. Without getting too deep into the rules of paternity establishment, I can tell you that you could either sign the birth certificate, sign an admission of paternity, or take a DNA test to establish whether you are the parent of a child. Because Timbaland is not the father, Monique can't even get past this first step. 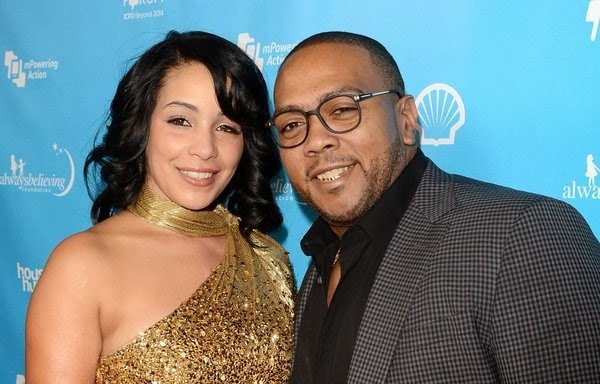 However, she is making the creative argument that where Timbaland has proclaimed the child as his own, that is enough to establish paternity and move on to a child support calculation. Now, I don't like to make definite legal predictions. But there is no way in Obama's America that a court will find that paternity is established because a party proclaimed a child as his own. You heard it here, TIMBALAND WILL NOT HAVE TO PAY CHILD SUPPORT FOR MONIQUE'S CHILD. It is not allowed in the statute or caselaw. And it is wrong on so many levels. Not to mention, it will open the proverbial floodgates for child support fraud as now you could be financially responsible for a child just for saying the child is yours. Good luck with that one Monique. Don't hold your breath waiting for it. Those are my thoughts on this case. As usual, I'd like to know what you guys think about this situation. What do you think about Monique's demands? How do you think this case will turn out?